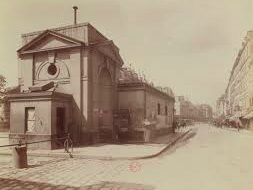 Our tour will take us in the district around La Bastille, which was more commonly called faubourg Saint-Antoine in the past. 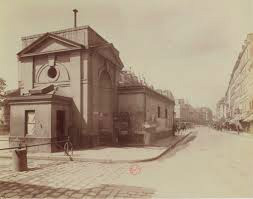 It is nowadays more commonly called La Bastille since most all of the craftsmen – cabinetmakers, gilders, mirror manufacturers – and metal workers have now been replaced by designers, architects and communications consultants working in the yards and passages of the district. Even avoiding too much backward looking, there is some nostalgia floating above some yards which have kept old workshops, sign boards or even a factory chimney which look like some ghosts of this furniture industry established since medieval times up to the end of the 20th century. However this feeling is easily replaced by the stimulating vision of a young generation of designers, software engineers and architects working in the modernized workshops. It is also very nice walking in the quiet and green yards and passages isolated from the traffic. And it is also very nice and easy to find modern and attractive cafés and restaurants where to take breaks. 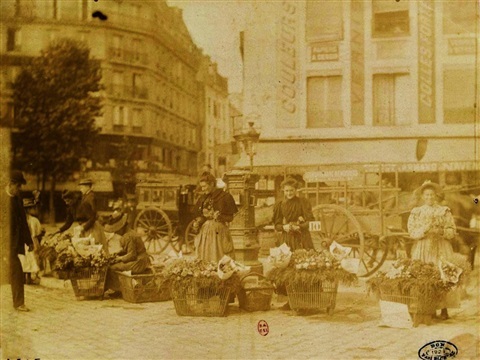 We will start this tour from rue du Faubourg Saint-Antoine, we will stop by the living Aligre market, we will go in streets where revolutions took place in 1789, 1830, 1848 and 1870; we will walk in yards and passages with old and evocative names like Main d'Or (Golden hand), la Bonne Graine (the good seed); we will go rue de Lappe, which was in the past the territory of people coming from the French region Auvergne and today crowded in the night by young people enjoying the numerous dance bars; we will end Place de la Bastille which provides a strange mix of French Revolution and Classical Opera. We will stop at Metro station Faidherbe Chaligny to start our tour rue du Faubourg Saint-Antoine. The old and narrow street goes from La Bastille to La Nation. Per decision from Haussmann, it was divided all along its axis between two arrondissements : the 11th on Bastille side, the odd-numbered side of the street with many cobbled courtyards and passages. On the other side, the 12th where, in the past was standing the Saint-Antoine des Champs Abbey. 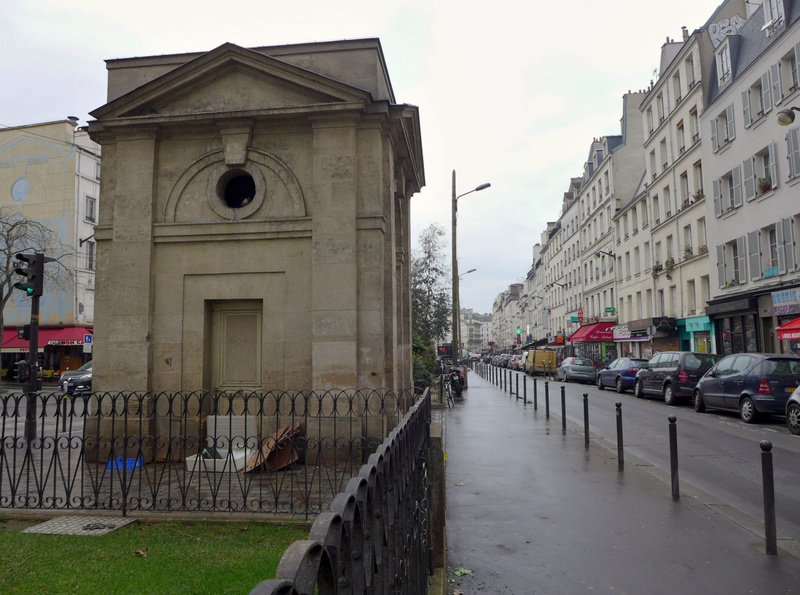 The rue du Faubourg Saint-Antoine was continuing the rue Saint-Antoine outside the walls of Paris and was the main street of the Saint-Antoine district developed under the high influence of the Abbesses. When going out of the metro, we have on our right the Saint-Antoine hospital built where was standing the Saint-Antoine des Champs Abbey built in the 12th century. It became Royal Abbey with king Saint-Louis in the 13th century and continued to get significant importance in the following centuries. In the 15th century, king Louis XI authorized the abbey to become a free labour territory for the craftsmen employed by the convent. This was bringing several huge improvements to the carpenters; they were then able to implement their workshops very close to the Parisian port where the wood was delivered in Paris (Port de la Râpée). More importantly, this freed up craftsmen from the constraining rules imposed by the corporations. Under the Abbesses' protection the carpenters mastered new techniques and acquired expertise like in wood marquetry. 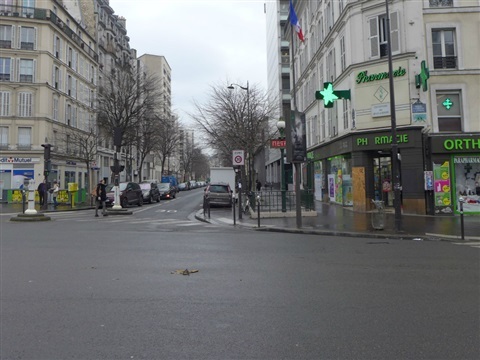 Let's now walk up to the corner of rue du Faubourg Saint-Antoine and rue de Montreuil. This is where Réveillon implemented in 1765 a wallpaper manufacture in the park of a mansion. The first balloons were assembled in the gardens around the manufacture and in 1783 this is from where Pilâtre de Rozier flew the first balloon. Though Réveillon applied progressive ideas like unemployment compensations given to his employees, a riot broke out in April 1789, as a first sign of the Bastille Day. 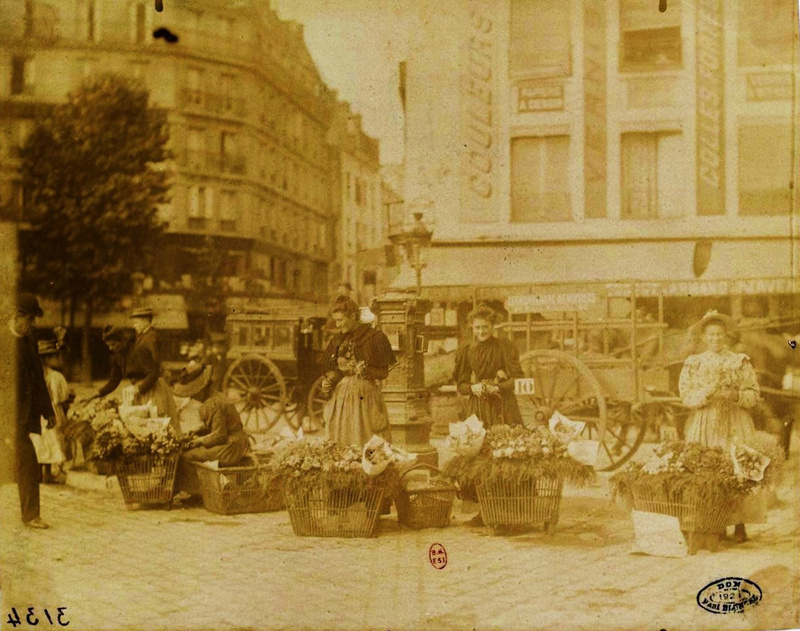 Possibly anticipating a proposal made to the Government to cancel taxes to some goods entered in Paris, Réveillon announced a reduction of wages. This liberal idea in a district where many workers and craftsmen were living was rejected and only the wage reduction was heard and understood. The Reveillon manufacture was destroyed, the riot expanded to the district where many people were killed and wounded as it was harshly repressed. Let's come back and let's go further up rue du Faubourg Saint-Antoine and turn left in rue d'Aligre up to Place d'Aligre. I suggest you come in the morning, any day of the week, but on Mondays, in order to enjoy the quaint Market Beauvau more commonly called Market Aligre where you will also find a compact flea market. The origin of the flea market comes from a privilege granted by the Abbess, Madam de Beauvau Craon to the clothes sellers so that the poor from the neighborhood could buy clothes at low price. Baudelaire's shadow was floating in our walk in Ile Saint-Louis and is with us again in a close street named after him. Paris may change; my melancholy is fixed. Whose memories are as heavy as a stone. The faubourg had been knowing many popular revolts, starting with Bastille Day. Haussmann will remember them when he will divide the district into two arrondissements for a stronger control. 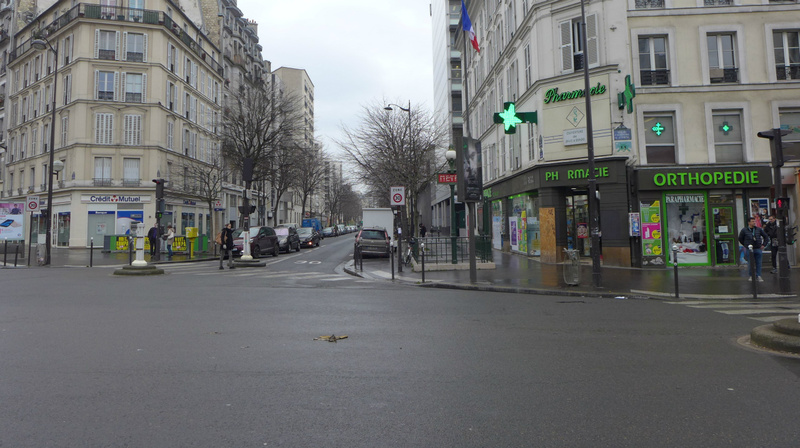 Many barricades were built in this district with narrow streets and many passages where to take cover. There are very few traces of this past, but with a closer look you can notice some remnants of the rebellious spirit like the associative café of the Aligre free community located at 3, place d'Aligre. This is an other cafe selected by Atget for its old wrought iron sign board. And this is an other time, all gone. The pretty bunch of grapes within the door frame and the gates are gone, only the name of the café – la grille (the gate) sounds like a pale ghost. Let's come back rue d'Aligre, then rue du Faubourg Saint-Antoine and on the left rue de la Forge Royale. Let's continue rue Saint-Bernard up to the church Sainte-Marguerite.